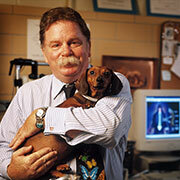 Richard Borgens is the Mari Hulman George Professor of Applied Neuroscience in the School of Veterinary Medicine and a professor of biomedical engineering at Purdue. He also is the founding director of Purdue's Center for Paralysis Research and a founding board member and chief scientific officer for Andara Life Sciences Inc.
Borgens, in collaboration with Riyi Shi and Andrew Blight (former Purdue professor), developed the drug Ampyra, which has received approval from the U.S. Food and Drug Administration, for improving motor function in patients with multiple sclerosis. Ampyra is the first and only FDA-approved therapy addressing walking impairment in MS patients — one of the most difficult and pervasive challenges of the disease. In clinical trials, patients who took Ampyra demonstrated an increased walking speed, regardless of which of the four major types of MS they exhibited (relapsing remitting, secondary progressive, progressive relapsing or primary progressive). Researchers at Purdue developed the original concept and basic science, and conducted initial animal studies at Purdue's Center for Paralysis Research facilities. The first clinical testing of the drug in paraplegic canines occurred on the Purdue campus in the School of Veterinary Medicine. Borgens received his PhD in biophysics and experimental zoology from Purdue in 1977 and was a postdoctoral fellow at Yale University for three years. He earned his bachelor's and master's degrees from North Texas State University in 1970 and 1973, respectively. He was a National Paraplegia Foundation Fellow at Yale and worked at Jackson Laboratory and the Institute for Medical Research before joining Purdue's faculty in 1982. Herbert C. Brown was one of the leading American chemists of the 20th century. His Nobel Prize-winning work with boron compounds revolutionized synthetic organic chemistry. 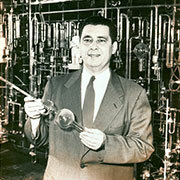 His discoveries at Purdue opened entirely new avenues in both academic and industrial chemistry. Boranes are now used in the synthesis of many organic compounds, including medications such as the antidepressant Prozac and the cholesterol-lowering drug Lipitor. Brown came to Purdue in 1947. During the late 1950s, he and his students discovered that unsaturated organic molecules can be readily converted to organoboranes through hydroboration reactions, in which boron and hydrogen add to multiple bonds. He supervised a very large group of graduate students and postdoctoral researchers — most notably Ei-ichi Negishi and Akira Suzuki, 2010 Nobel laureates who studied with Brown in the 1960s. Brown retired in 1979 but continued to be an active researcher until his death in 2004. 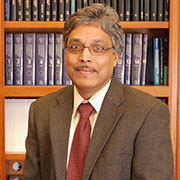 Arun K. Ghosh is the Ian P. Rothwell Distinguished Professor of Chemistry and Medicinal Chemistry and Molecular Pharmacology at Purdue. He created a molecule that was developed into the first FDA-approved treatment for drug-resistant HIV. Ghosh was born in Calcutta, India. He obtained his BS degree in chemistry in 1979 from Calcutta University and his MS degree in chemistry in 1981 from the Indian Institute of Technology in Kanpur. He received his PhD in organic chemistry in 1985 from the University of Pittsburgh. He was a postdoctoral fellow at Harvard University from 1985-88 and then joined Merck Research Laboratories at West Point, Pennsylvania, as a medicinal chemist. In 1994, he became an assistant professor at the University of Illinois, Chicago. He joined the Purdue faculty in 2005. Professor Ei-ichi Negishi was awarded the 2010 Nobel Prize in Chemistry for developing palladium-catalyzed cross-coupling to link carbon atoms and synthesize molecules. In addition to its use in the development of the painkiller naproxen and the cancer treatment taxol, it is estimated that "Negishi coupling" is used in more than one-quarter of all chemical reactions in the pharmaceutical industry. The technique also has been used in fluorescent marking essential for DNA sequencing and in the creation of materials for thin LED displays. 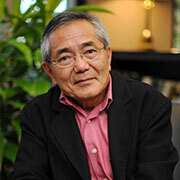 Born in 1935, Negishi came to the United States in 1960 after graduating from the University of Tokyo. In 1962, while studying for his doctorate at the University of Pennsylvania, he met Purdue chemistry professor Herbert C. Brown — a pioneer in synthetic organic chemistry. With Brown as a mentor, Negishi arrived in West Lafayette as a postdoctoral researcher in 1966. He then moved to Syracuse University where he served as an assistant professor (1972-76) and associate professor (1976-79). Negishi joined the faculty at Purdue in 1979 — the same year Brown was awarded the Nobel Prize in Chemistry. In 1999, he was named the Inaugural Herbert C. Brown Distinguished Professor of Chemistry.